I have never really been one of them women who dream about getting married, but the older I get the more I think it would be really nice to have that special day to cement my love with my partner. One of the main things I think about (apart from the dress obviously) is where I would like to get married. So, I've put together this post to share my personal thoughts and ideas when choosing an ideal wedding venue. Also I have picked what would be my ideal venue. Obviously this is important, we have a rather large family so it would have to be somewhere big enough to hold them all. Another thing I would have to have is a area around the venue where we could get beautiful pictures taken. Wedding photographs are something you will look back on often and for the rest of your life so you want them to be perfect. Everyone knows weddings can be really expensive. So it is important to pick a venue within your budget, or least pick one which gives you good value for money. I would have to visit the venue and see it for myself. I also would want to meet the staff who are going to be helping make the day as special as can be. I have always wanted a winter wedding. For a couple of reasons, for one I am not good in heat. Also, I would love snow pictures in a wedding dress! I am not the most organised person, so we would definitely need some kind of wedding planner to help us with organising everything. If people have to travel to get to your wedding venue is it easy to find. Is it a great distance between service venue and reception venue? Ideally we would have both in the same place so if family/friends are travelling there is no messing about going from place to place. Once they are at the service they can relax and enjoy the day/night. There are many other factors to take into account. I had a little look through Bijou Wedding Venues site to see the venues they offer. They have some really lovely venues and the website is really easy to navigate and find what you are looking for. You can also take a virtual tour of the venues, with is a great idea. 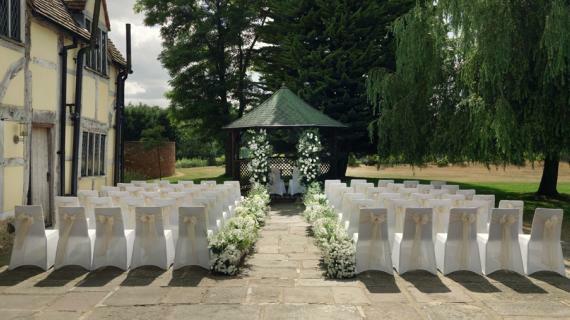 After looking I found Cain Manor, it is a really lovely venue and the grounds look fabulous. It looks like you could get some really great photos to look back on. How pretty is this venue? It has everything I would look for in my wedding venue. The interior is just stunning and looks so spacious. Definitely my taste and the outside is picturesque. Cain Manor also offers a bridal suite and 13 additional rooms to accommodate guests. 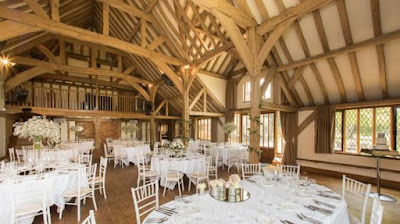 This venue offers so many extras including a personal wedding planner (great for me!) and in-house catering. 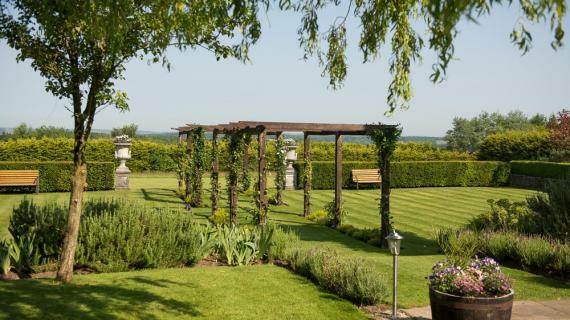 To see more of what Bijou Wedding venues have to offer click here..
Where would your ideal wedding venue be? What other tips would you give to people about picking the right venue? Let me know in the comments.